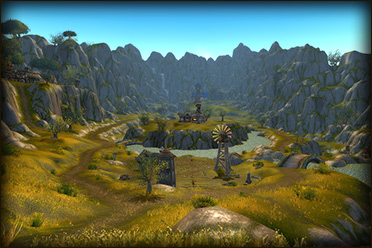 The Basin’s earliest days (and original owners) aren’t even footnotes in history – the land frenzy driving Alliance and Horde now dominates the landscape. 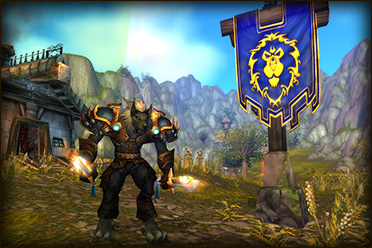 The League of Arathor, the remnants of the once-proud kingdom of Stromgarde (now occupied by ogres and the criminals of the Syndicate), would claim the basin to profit their allies in Stormwind (and, through them, the whole of the Alliance). Set against them are the forsaken Defilers, free-willed undead who strive to savage the human kingdom of Lordaeron and secure their home in the Undercity – and they demand Arathi’s resources to do it. 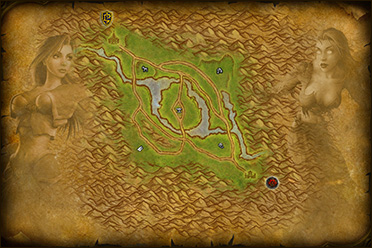 Battle in Arathi Basin demands a “King of the Hill” approach. Your team rushes out from your starting area to capture and hold different resource 'nodes' – five key strategic points. Your goal is to hold more nodes than the opposing team, and hang on to them as long as you can; this will increase the amount of resources you accrue. 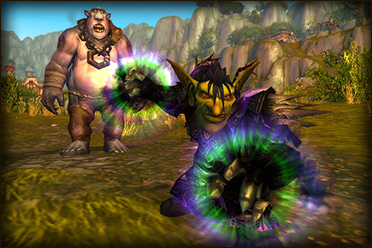 During the battle, you’ll engage in back-and-forth attacking and defending of Arathi Basin’s nodes. To truly seize victory, it’s important to learn when to conquer a node that your enemies hold, and when to defend a node that’s already claimed by your side. 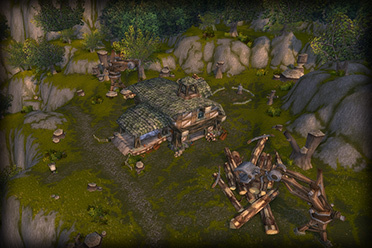 There are 5 ‘nodes’ (points of import) in Arathi Basin: the Blacksmith, Farm, Gold Mine, Lumber Mill, and Stables. 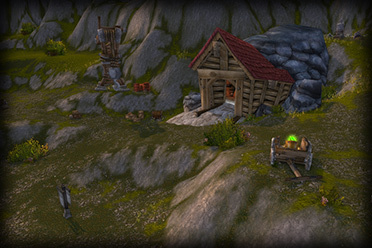 They are situated in an ‘X’ formation in the middle of the map, with the Blacksmith serving as the center of the ‘X’. To capture a node, you need to right-click on it and ‘channel’ – spend a short period of time uninterrupted, without moving. If you’re interrupted (for example, by an attack) you won’t capture the node, and you’ll need to try again. You lose control of a node when the enemy team captures it. Restores health and mana; appears near nodes. Increases damage dealt and taken; appears near nodes. Increases movement speed; appears near nodes. Captured nodes accrue resources for your team. When your team holds more nodes than your opponent's team, you’ll accrue more resources per second, allowing you to extend your resource lead or overtake your enemies. You can keep an eye on both teams’ current resource scores at the top of the screen. All nodes accrue resources at the same rate. Remember: adapting is important. Don’t be afraid to sacrifice a location you’ve been savagely defending, and strike at lightly occupied points elsewhere. Most points wins, no matter how hard you fight. When you die, you’ll reappear at one of your faction’s graveyards after a short delay. If your team controls a node, you will be able to resurrect at the graveyard nearest to it. This makes the location of 'your' nodes a significant factor – if you control a node close to a hotly contested area, your team will be able to get back in the fight quicker.